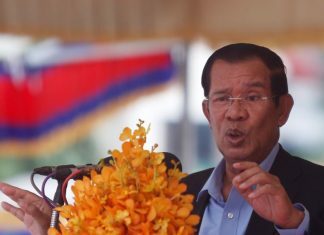 Cambodia’s already overstretched prisons are being pushed to the “point of collapse” by an influx of inmates from the government’s six-month war on drugs, a human rights advocate said on Thursday. Villagers of Akrei Khsat commune in Kandal province’s Lvea Em district say drug crime in the area has almost reached crisis point. 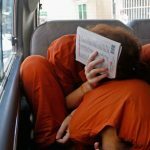 An American man who served prison time in Cambodia for sexually abusing five boys under the care of his Phnom Penh orphanage is currently on trial in the U.S. for alleged crimes he committed in Cambodia between 2005 and 2013. 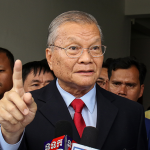 A Phnom Penh fertility clinic implicated during Cambodia’s first commercial surrogacy trial since the practice was banned in October is not being investigated, a police official said on Sunday. 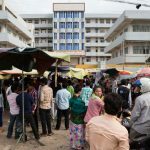 In the country’s first case of its kind, an Australian woman accused of being at the center of a surrogacy operation in Cambodia on Tuesday in court described a complex and sprawling commercial network in which she claimed to be just a minor player, with a broker in Bangkok pulling most of the strings. 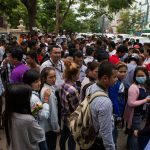 At least 1,000 striking garment workers submitted a petition to the Labor Ministry on Thursday seeking its intervention in the suspension of 11 workers, 10 of whom claim they were discriminated against for being activists of a local union. 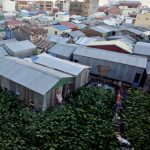 Nearly 2,000 garment workers on Wednesday extended a strike over paid time off for Sunday’s elections after their employer suspended 10 union activists at the factory, they said. 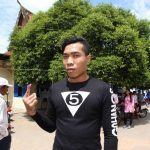 By the time Cambodia’s fourth commune elections came to a close at 3 p.m. on Sunday, 6,743,329 of the country’s citizens had come out to cast their votes, according to the National Election Committee (NEC). 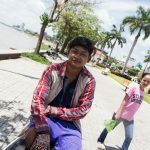 “I’m from Banteay Meanchey province, but I have lived in Phnom Penh for 20 years. I look after my aunt’s house in Phnom Penh. My father is not alive anymore. I support my mother [financially]. I don’t know who I will vote for yet. 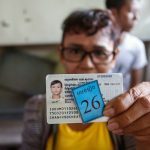 It depends on who my family will vote for..."
The National Election Committee (NEC) on Thursday shortened the process voters without national identity cards must complete to prove their identity at polling stations on Sunday, a move an election monitor and the CNRP said came too late. To vote or not to vote. For many of Cambodia’s saffron-robed Buddhist monks, it’s a difficult question. On one hand, activism among monks has a long tradition, from helping create a strong Khmer national identity during colonial rule, to leading the drive for independence in the 20th century, to protesting with the urban and rural poor in their land rights battles. 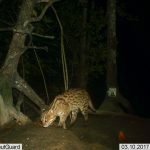 Two years after the last sighting of the species in Cambodia, two fishing cats—a wild cat native to South and Southeast Asia that is listed as vulnerable on the International Union for Conservation of Nature’s Red List—have been caught on camera in Koh Kong province, a wildlife conservation NGO said. Voter Voices: Phal Kanitha, 30, Procurement officer; from Kraing Yov commune in Kandal province’s Sa’ang district. 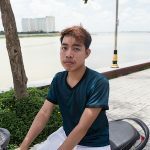 “I live in [Phnom Penh’s] Sen Sok district with my brother. I’ve been here for one year. My parents are rice farmers. They have about 3 to 4 hectares in Oudong. 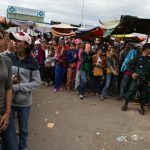 Transparency International has pledged a rapid assessment of potential irregularities in Sunday’s commune elections by sending 1,100 observers across Cambodia—including, if needed, by boat and helicopter. Seng Bunthoeun, 22, a garment factory worker who comes from Prek Khsay Khor commune in Prey Veng province’s Peamro district. Police in Svay Rieng province on Saturday shut down a training session for 16 observers registered to monitor this Sunday’s commune elections, saying it had not been sanctioned by authorities, according to an organizer. "I worked in a [garment] factory for a year. I didn’t like it because it’s a hard job and I got a low salary—$60 a month. I’m going to vote for the CNRP. I’ve always voted for the opposition. Lotus farmers really believe in the CNRP." 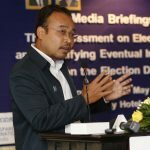 Election observers working for NGOs are treading more carefully in their monitoring activities because of a controversial law on NGOs passed nearly two years ago, said Sam Kuntheamy, executive director of the Neutral and Impartial Committee for Free and Fair Elections in Cambodia (Nicfec), during an interview with The Cambodia Daily on Thursday.